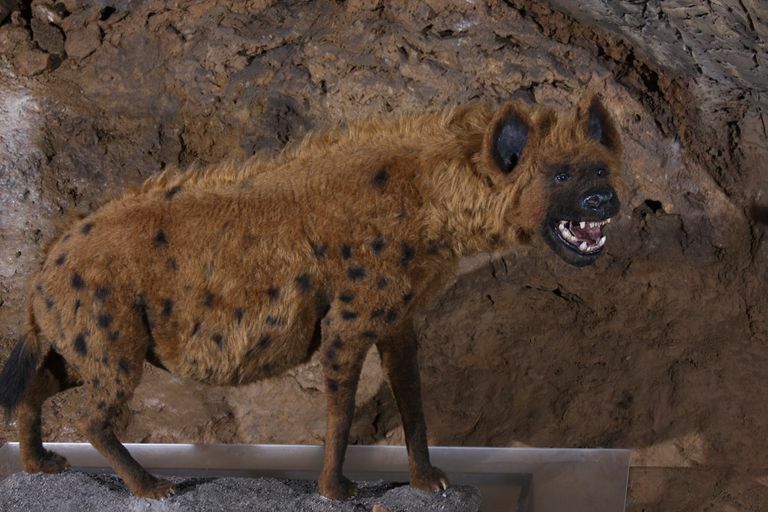 It's not quite as well known as the Cave Bear or the Cave Lion, but the Cave Hyena (Crocuta crocuta spelaea) must have been a common sight in Pleistocene Europe and Asia, to judge by this megafauna mammal's numerous fossil remains. As you can guess from its name, this hyena liked to drag its kill (or, more often, the kill of other predators) back to its den, for which purpose it was equipped with longer, more muscular hind legs than contemporary hyenas (of which the Cave Hyena is now classified as a subspecies, rather than a separate species as had previously been thought). 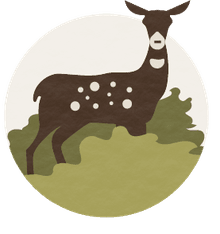 One network of caves in Europe has yielded tantalizing evidence about the Cave Hyena's favorite prey animals, with Przewalski's Horse and the Woolly Rhino ranking high up on the dinner menu. Like most opportunistic predators of the Pleistocene epoch, Cave Hyenas occasionally preyed on early humans and hominids, and they weren't shy about stealing the hard-earned kill of packs of Neanderthals (which might well doom them to starvation). Where Crocuta crocuta spelaea and the ancestors of modern humans really mixed it up was in the competition for habitable space: paleontologists have identified caves that bear evidence of alternating populations of Cave Hyenas and Neanderthals, a pattern that evidently repeated itself over thousands of years. In fact, the Cave Hyena may have been doomed by the encroachment of early humans on its rapidly dwindling caves, which grew even scarcer after the last Ice Age, about 12,000 years ago. Like many other animals with which our ancestors shared their hard-won territory, the Cave Hyena has been immortalized in primitive cave paintings. One cartoon-like representation can be found in the Chauvet Cave in France, dating to about 20,000 years ago, and a small sculpture (carved from the ivory of a Woolly Mammoth!) was created a few thousand years after that. It's likely that both early humans and Neanderthals memorialized the Cave Hyena as a kind of demigod, and also painted it on the walls of their caves in order to "capture its essence" and facilitate success in the hunt. (It's unlikely that early Homo sapiens targeted the Cave Hyena for its stringy meat, but its pelt would have been valuable in winter, and anyway it was a good idea to eliminate the competition! ).